1. What were the six principalities that supplied soldiers in the American Revolutionary War (ARW) of 1775-1783? 2. Were they mercenaries or regular army soldiers? They were regular soldiers drafted to do their duty. But, these regiments were still hired to participate in a war outside of their country for the benefit of Britain. 3. How many of these hired soldiers went sent to America? 4. When did the first troops arrive in America? 5. Who were the Jaegers? Smaller units were put together by some Princes who were known as Jaeger or Chasseur Corps. These men were the true mercenaries. They were volunteers, mostly hunters experiences men of the forest, sharp shooters. These men were right at home in the Canadian and American wilderness. Those Jaegers were involved in most battles and skirmishes. 6. Were the Hessians permitted to stay in Canada and the United States after the Peace Treaty in 1783? When permission was not granted, they would desert. 7. Did the Jaegers have more difficulty that the regular soldiers to stay behind? On the contrary, it was easy for them, because they were volunteers and not regular soldiers. 8. How many German soldiers stayed in Quebec alone? 9. Did they teach their children to speak German like the ones who had immigrated to Pennsylvania? 10. Did they change their family names in Quebec? 11. How many German soldiers lived in Quebec during the ARW? In the first period of the ARW, they were 4 000. At the end of the ARW, their number had increased to 5 000. 12. Where were they living all this time? Families were paid for « accepting » 2 to 6 of these soldiers on a year-round basis. 13. When did the first contingents of soldiers arrived in Quebec? In the spring of 1776. 14. Who was the first one in Canada to write about the Hessians? A German journalist in Montreal, Herbert W. Debor. He went to live in Germany after some years in Canada. 15. Is there someone else also who wrote about it? Yes. His name is Jean-Pierre Wilhelmy who wrote « German Mercenaries in Canada » in 1987. 16. Did the British soldiers in America stayed on site to fight the Rebels on the onset of the ARW? No. They fled to Halifax, NS. 17. Why did the Rebels attack Canada? First, to liberate them from the British tyranny and, second, to cut off the route of the Germans arriving in Quebec. The Germans were planning to invade America from the north. 18. Who was in charge of the British forces in Quebec at the time of the Rebels’ invasion? 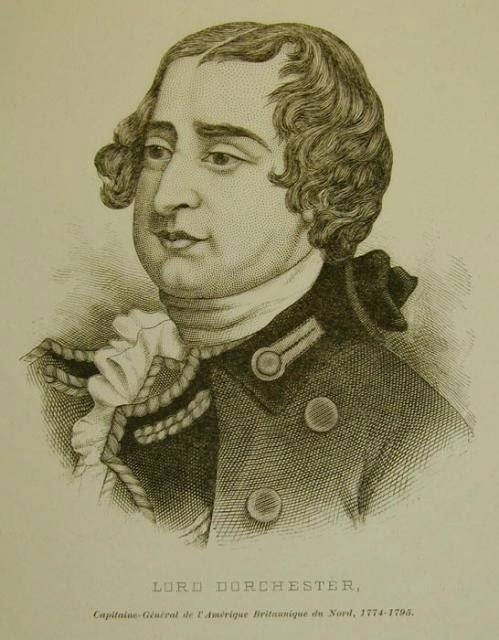 Governor Guy Carleton, Lord Dorchester. 19. How difficult it is to find an ancestor amongst those German soldiers who stayed in Canada? Very difficult. One genealogist named Hineman found 27 variations of his family name in English Canada alone. 20. Is Merz’ Register complete and accurate? Merz worked at it for 20 years, but he said that it had to be refined. 21. Do the German soldiers who went back home in 1783 stayed in Germany? Many came back shortly afterwards to live in Canada and the USA. 22. The German soldiers who stayed in Canada after the ARW received a land grant. Did they stay on the parcel of land that they had received? Many of them never set foot on the land and sold it afterwards. 23. 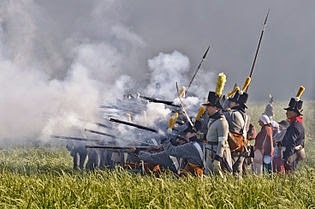 Why these soldiers were they called Hessians? Because two-thirds of them came from the principality of Hesse. 24. What was included in the contract between Britain and the Hessians? « The treaties between Britain and the six Princes varied in details, but the major conditions were common to all. Britain would pay an annual subsidy to the rulers in return for the services of a specified number of men in America. 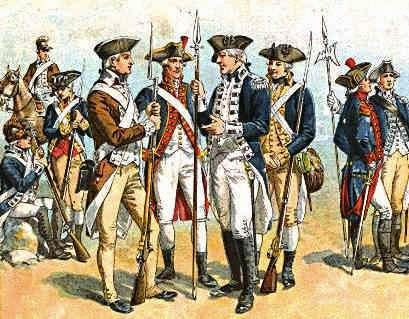 The rulers would provide their men with uniforms, weapons and accoutrements, while Britain would pay the men, defrays the expenses of getting them to America, and not expose them to duty more hazardous than that assigned to British troops. » J. H. Merz, page 21. 25. What sort of men were these Hessians? The officers were for the most part career soldiers. Some officers were drawn from the lesser nobility and gentry; others had been promoted for meritorious service. Many of the junior officers lacked means. The group of officers were « a mixture of coarseness and culture ». The army was probably a reflection of the society of that time. The soldiers are often referred to as « farm boys ». 26. Do they spoke French? An author mentioned that some of them spoke « a barbarous French ». 27. Did the soldiers all came from the six principalities? No. A lot of them came from elsewhere and were coerced to become soldiers. Any method was good as long as it produced results. 28, Who was eligible for foreign service? Property owners and their sons. Each village had a militia and many of those farm boys found themselves eligible overnight. They were not all professional soldiers. The militia was supposed to replace the soldiers gone at war. But, many of those militia members were enlisted for the ARW. 29. Did the families agree with the hiring of outsiders? Yes, because it prevented many to keep their boys at home. Most families resisted sending their young boys at war. 30. What did the soldiers had for lunch while crossing the Atlantic? On board ship, each group formed a ration unit to which was issued four pounds of bread, four pints of beer, two serving of beef, two serving of pork and peas, together with some flour, oatmeal, cheese, an raisins weekly. 31. How were the Hessians treated by the Continentals, when they were taken prisoners, as compared to the British? 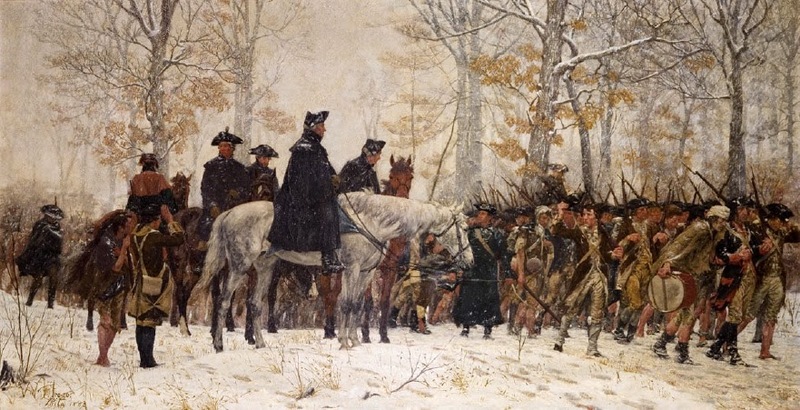 When prisoners of war, the Hessians officers and even the commonly soldiers were frequently shown favors not bestowed upon the British comrades. 32. How heavy was the lost of the Waldeck Regiment? Only 41% of the Regiment returned to Germany.